Leon Nicaragua is a beautiful and colourful university city in colonial style, and it has lots of things to offer, including a vibrant city center with plenty of restaurants, bars, cafés, plazas for relaxing, markets, an old gorgeous cathedral, many churches, museums, a cinema and more. Since April 2015, I have called Leon home. 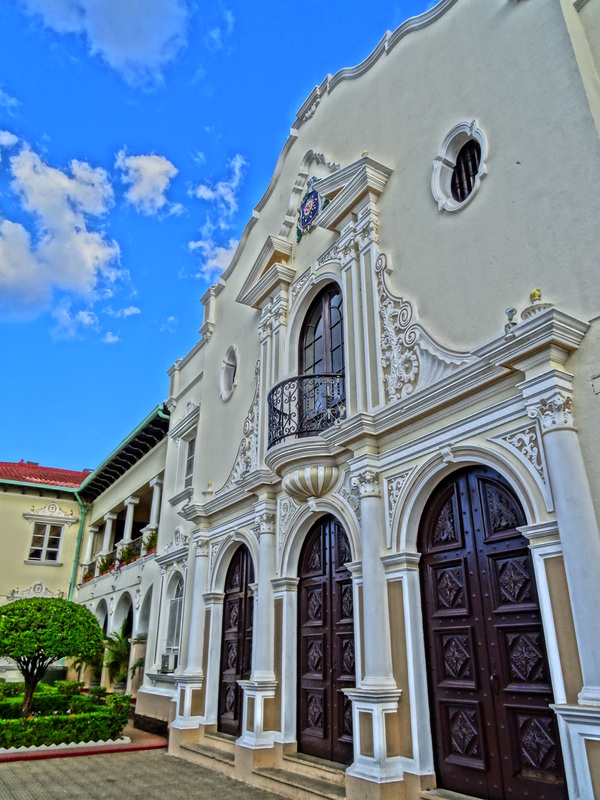 The city is named after León in Spain, and together with Granada it has the best preserved colonial buildings in Nicaragua. Because of this, the city looks magical to me. But it has not always been so magical. During the 1979 revolution, León was filled with violent street fightings and bombardments. Bullet marks can still be seen on some buildings. Today León is a cultural and intellectual city with many things to discover. 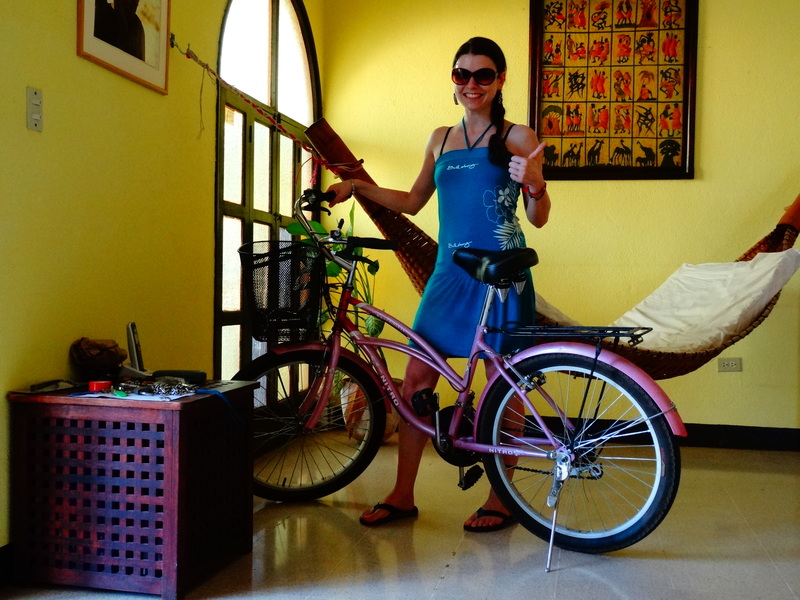 Everything can be reached by foot or bicycle. I love biking along the busy streets in the center, and discovering new things. The car and bus drivers here are more or less respectful and drive carefully. Still, always keep your eyes open and practice caution. If you follow that rule, you’ll be absolutely fine. Also, if you opt to take a taxi, a taxi drive within the city and from/to the bus stations should not cost more than 20 Córdobas. That’s a bit less than $1 USD. 1. 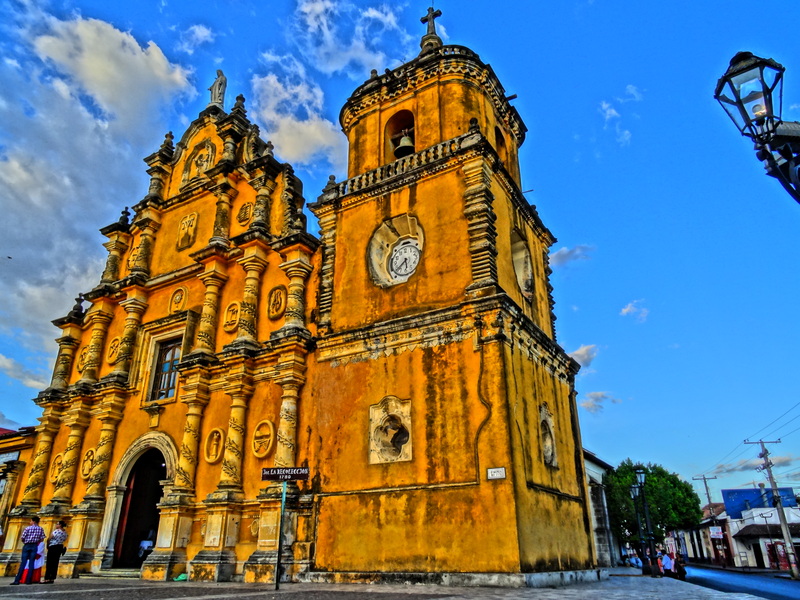 The León Cathedral is the biggest and oldest cathedral in Central America and the final resting place of the famous poet Rubén Darío as well as many other important Nicaraguan personalities. The building was finalised after 100 years of construction. If you pay a small fee, you can climb up the stairs to the rooftop. From there you can get a nice view of León, complete with its churches and surrounding volcanoes. You can also climb down to the basement beneath the cathedral. 2. The churches of Subtiaba, El Calvario, La Recolección, La Merced, San Felipe und San Francisco. 3. León was established in 1524 by Francisco Hernández de Córdoba. But the “first” León (León Viejo) was located about 30 kilometres away from the modern-day León. After an eruption of the volcano Momotombo, the city was destroyed and León was newly built up, close to the indigenous settlement Subtiaba. The ruins of León Viejo are now a UNESCO world heritage that can be visited. 4. The former house of Rubén Darío, which is now a museum. 5. The Art Museum Ortiz Guardian, which houses a huge exhibition of classical and modern art. The people are generally very nice, helpful and sometimes curious, as well, wanting to know where I’m from and what I’m doing there. 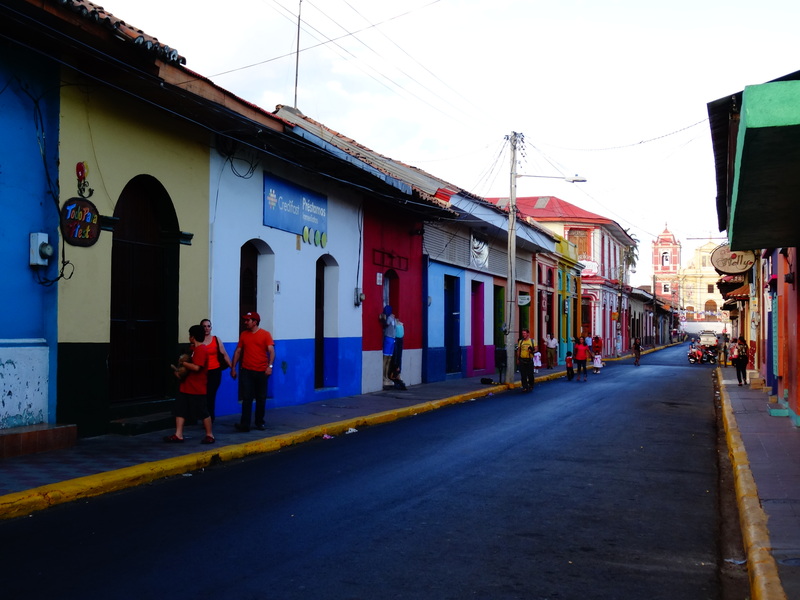 I speak to locals wherever I run into them, and have gotten very interesting information about the city, the region and the Nicaragua from them. Still, communicating isn’t always easy, since the Nicaraguan accent is very different from the Spanish accent. If you want to cook for yourself or just want to taste delicious fruits, there are many options, including. three big supermarkets. Palí is a cheaper supermarket, where you can buy all local things. Locals mainly shop here. You can find it here. Union is a more expensive supermarket, which offers local and imported products. You can find it here. The most expensive supermarket is Colonia; here you can find plenty of imported things but also local products. Normally, if I don’t find something in Union or Palí, I find it at Colonia. The biggest market in the city is located just behind the big Cathedral–here you can find plenty of fruits, vegetables, coconuts or cheese from the region. 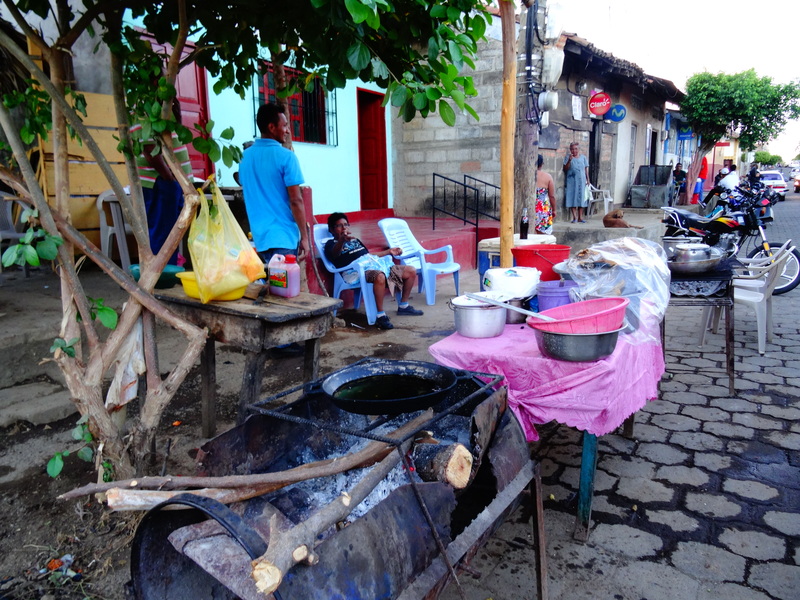 They also offer well-cooked “Nica” food. Smaller market stands are situated throughout the city. At the two bus stations, there are bigger markets, where the products are often cheaper. You can find souvenirs and handicrafts at some stands in the Plaza in front of the Cathedral. But the prices here are higher, because tourists come here, who don’t know that there are little shops along the streets around the cathedral which offer the same things for much cheaper prices. 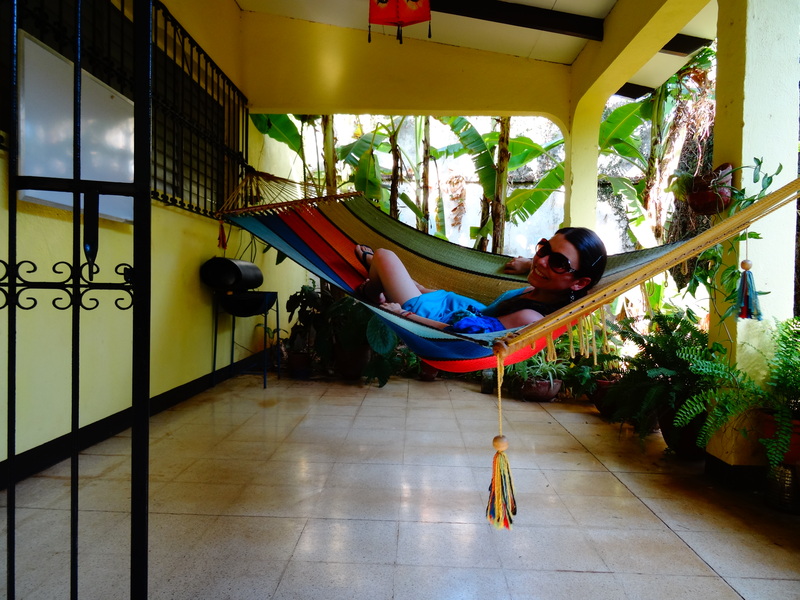 These stores also offer great hammocks, which you will eventually need for boat trips to Ometepe or the Caribbean Islands. Clothes can be found in plenty of shops; new ones for around 200 C$ and used ones (usually from the USA) for between 50 and 100 C$. Just take your time; sometimes you can find really great things! The bar Via Via which is located here features a live band every Friday night. The entrance is free and the live bands are great. The drinks are rather cheap and the ambience is very relaxed. 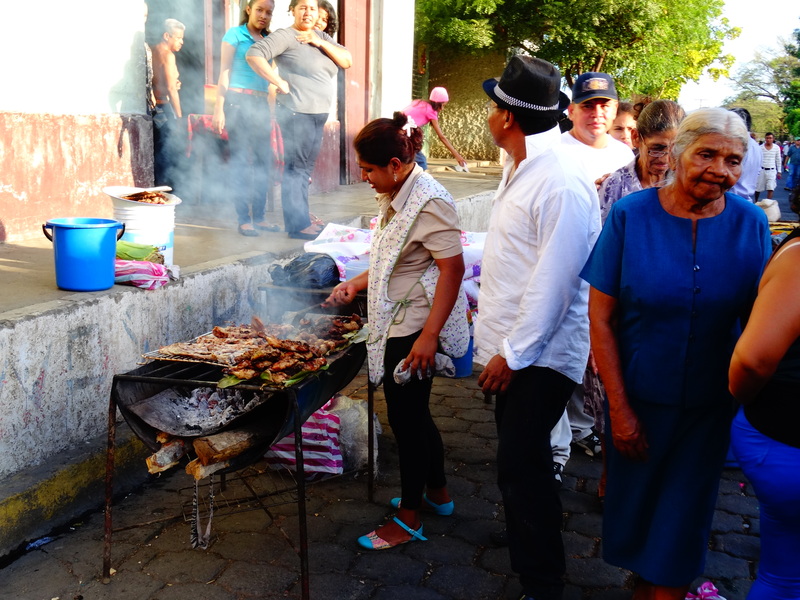 You’ll find Nicas and tourists welcoming in the weekend here. León also offers a cinema with western movies where you can relax and lean back with a coke or Toña beer and some popcorn. You can find the cinema here. There are many options for delicious street food in León, especially in the market behind the Cathedral and generally 1-2 blocks around the Cathedral. There is something for everybody, even for vegetarians, like me. For example fried Yuca, also called Cassava, Tostones (called Patacones in other countries, which are basically fried plantains), rice with beans and salad, different kinds of cheese, fried or not fried, vegetables, and more. If you crave western food, check out Pan y Paz which you can find here. They offer great western bread, baguettes, cheese, cake, sandwiches, quiche, and more. I am living in supervisor’s house, not far from the city center of León. It’s a residential area with bigger houses and it’s a bit quieter than it is in the vibrant center. Me in my comfortable abode.